UPSSSC Lower Subordinate Syllabus 2019 – UPSSSC Lower Subordinate Syllabus 2019 is now available on the official website of the Uttar Pradesh Subordinate Services Selection Commission at www.upsssc.gov.in. The authority will be conducting a written exam. The syllabus plays a prominent role in the candidate’s preparation, and also it will help the candidates to crack the written exam. The Uttar Pradesh Subordinate Services Selection Commission (UPSSSC) is recruiting the eligible candidates for 672 Lower Subordinate Services(II) vacant posts. The exam date is not yet announced, and it will be updated soon. The applicants who had registered for the upcoming exam can now visit the official website which is www.upsssc.gov.in for downloading the Advt 01/2019 Exam Pattern. The Uttar Pradesh Subordinate Services Selection Commission (UPSSSC) is recruiting the eligible candidates for the vacant posts of 672 Lower Subordinate Services(II) posts. A vast number of candidates have applied for the vacant positions. Many candidates have used for the job from 30.01.2019 to 19.02.2019. All applicants will be having the written exam and followed by the interview round. West Bengal Police Constable Syllabus 2019 – West Bengal Police Recruitment Department Police Constable Syllabus 2019 is now available on the official website of the West Bengal Police Recruitment Department. All the applicants can check and download the Constables Exam Syllabus 2019 which is now available on the official site which is www.policewb.gov.in. The West Bengal Police Recruitment Department is doing the recruitment for 5702 Constable posts. The applicants will be having the call letter for the mains exam on various dates. The selection process will be based on the aspirants’ score in the whole process conducted by the authority. To achieve the best score in the written exam, applicants need to know the Syllabus. West Bengal Police Recruitment Department released a job notification to fill 5702 vacancies for Constable posts. A vast number of candidates have applied for the position. All the candidates who applied for the vacant posts will be having the test. The candidates who are qualified in the Preliminary Written Test, Physical Measurement Test (PMT), Physical Efficiency Test (PET), Final Written Exam, Interview. FSSAI Technical Officer Syllabus 2019 – The Food Safety And Standards Authority Of India has now released the FSSAI Technical Officer & various other posts syllabus on the official website which is www.fssai.gov.in. The recruitment is done for 275 vacancies. The aspirants who are looking for the Syllabus can check and download the syllabus from the site. Food Safety And Standards Authority Of India is conducting the Technical Officer Exam for the candidates who applied for various 275 posts. The applicants should practice hard for the examination to grab the job at the government organization. 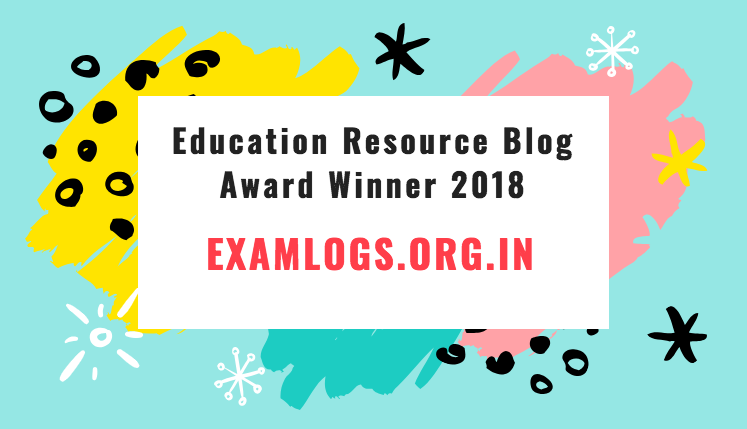 The candidates can check and download the FSSAI subject wise exam syllabus from the official site which is www.fssai.gov.in. Food Safety And Standards Authority Of India is recruiting the eligible candidates to fill 275 vacancies for Assistant Director, Assistant Director (Technical), Technical Officer, Central Food Safety Officer, Assistant Manager, Deputy Manager, Assistant Manager (IT), Administrative Officer posts. A considerable number of candidates have applied for the position. All applicants will have a written test and Interview. The syllabus will help to study for the test. West Bengal Police Warder Syllabus 2019 - The aspirants who applied for the West Bengal Police Recruitment Department (WBPRB) Warder exam are curiously waiting for the release of WBPRB Warder exam date. The date of the exam has not yet released. All the applicants will be having the written exam which will be held at many exam centers. The syllabus can be collected through www.policewb.gov.in. West Bengal Police Recruitment Department (WBPRB) is going to recruit the eligible candidates for Male/ Female Warder pots. The candidates who applied for the post can check and download the West Bengal Police Warder Written Exam Syllabus 2018 which is now available through www.policewb.gov.in. The aspirants can start the exam preparation with the help of syllabus. The West Bengal Police Recruitment Department (WBPRB) has released the job notification on Male/ Female Warder jobs in West Bengal. A significant number of candidates have applied for the exam. The application process started on 15/02/2019 to 14/03/2019. The syllabus uploaded will support to study all the subjects discussing in the test. Army Ordnance Corps Tradesman Syllabus 2019 - The Army Ordnance Corps AOC has now declared the LDC & Tradesman Exam Pattern on the website – www.aocrecruitment.gov.in, for helping the contestants who are preparing for the post to prepare for the competitive exam. Participants can improve their chances by arranging for the exam following the syllabus. Army Ordnance Corps AOC, HQ Southern Command Pune has invited online based applications from qualified candidates for the openings in the post of Group C (LDC & Tradesman Mate). A high number of teaching candidates applied for the position and are preparing for the exams; the applications were open until 10 January 2018. The Army Ordnance Corps provides numerous job opportunities to an 818 number of candidates. AOC will be conducting the written competitive Test for the selection of Group C vacancies. The recruitment board will soon be performing Written Test for the LDC & Tradesman Mate vacancies. A large number of applicants and are preparing for the exam.